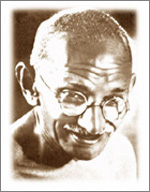 Gandhi. Galileo. Einstein. Edison. Da Vinci. Picasso. Shakespeare. Chaplin. George Washington. Relativity. Revolution. Independence. Slavery. Wounded Knee. Lakota. Ghost Dance. Abraham Lincoln. Civil War. Ford Theater. Titanic. World War I. Influenza. Black Tuesday. October 29, 1929. December 7, 1941. Robert Oppenheimer. Richard Feynman. Hiroshima. Nagasaki. World War II. Nazis. Holocaust. Hitler. Stalin. Technicolor. No place like home. Jesse Owens. Empire State Building. Kitty Hawk. Ford Model T. Air Mail. Ruth. DiMaggio. Superman. Muddy Waters. Radio. Jazz. Swing. Gatsby. Eugene O’Neill. Tennessee Williams.